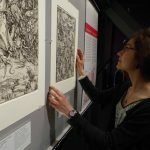 During my work at the Chester Beatty Library as the 2015-2016 Heritage Council Intern, I was able to work on the preparation of objects for loan to the exhibition Power and Protection: Art and the Supernatural in the Islamic World which opened in October 2016 at the Ashmolean Museum in Oxford in the UK. 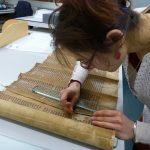 The Chester Beatty Library Collections are unique and internationally recognized, and the Library is regularly asked to lend its treasures for temporary exhibitions abroad. 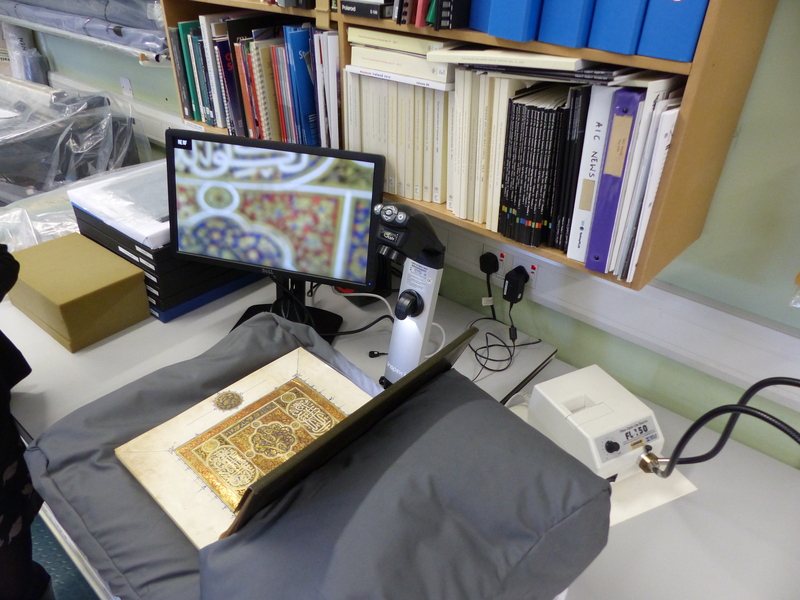 In preparation for this, the selected objects are taken to the Conservation Laboratory for assessment. 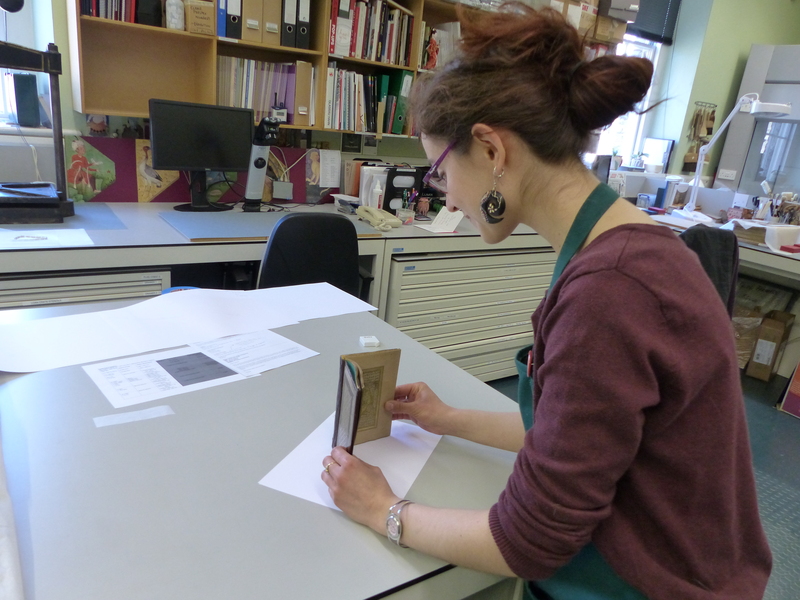 I started this project by preparing condition reports for the nine selected objects. 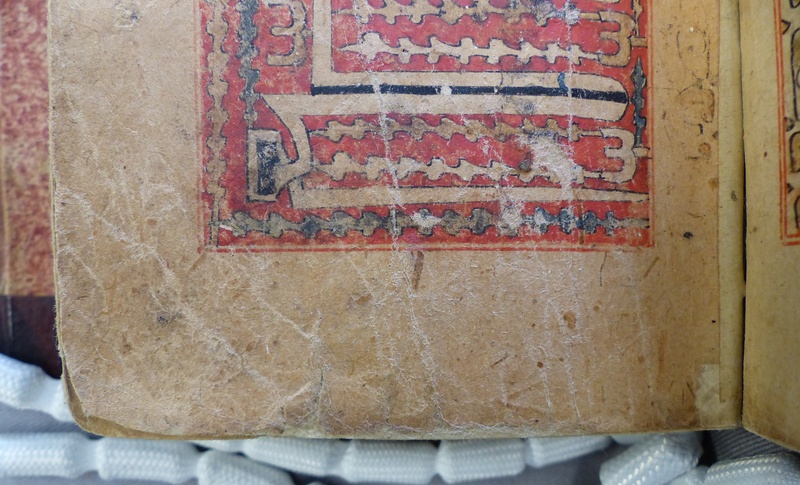 This was followed by any conservation treatments required. 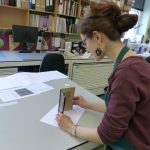 Treatments included paper consolidation with toned Japanese paper and wheat starch paste, and the assessment of painted layers under magnification. Consolidation of the pigments was carried out as necessary. Bermocoll – a non-ionic, water soluble cellulose ether – was applied with a nebuliser or a thin brush depending on the needs of each object. 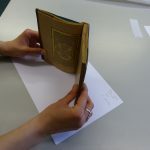 Perspex cradle profiles were also prepared for the bound objects, and folios were mounted for display. 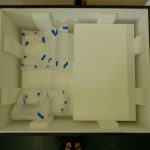 Finally, I assisted with the packing of the objects for travel. 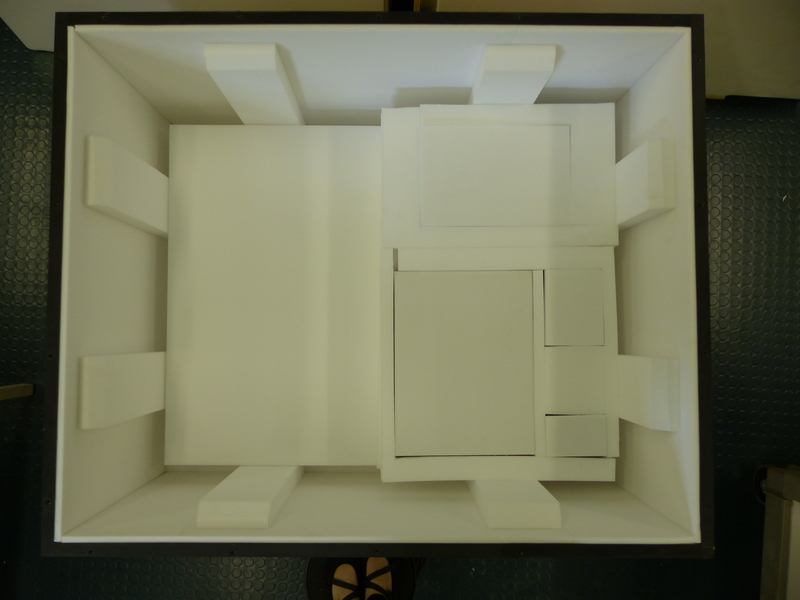 This included the preparation of the crate and the proper wrapping of the objects and cradles for their safe transport. 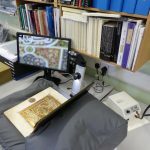 Thanks to this project, I now have a much better understanding of the complete loan process in an institution. 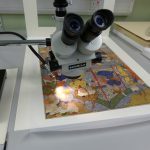 Condition checking of painted layers under magnification. 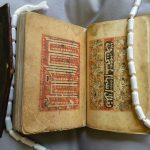 © The Trustees of the Chester Beatty Library, Dublin. 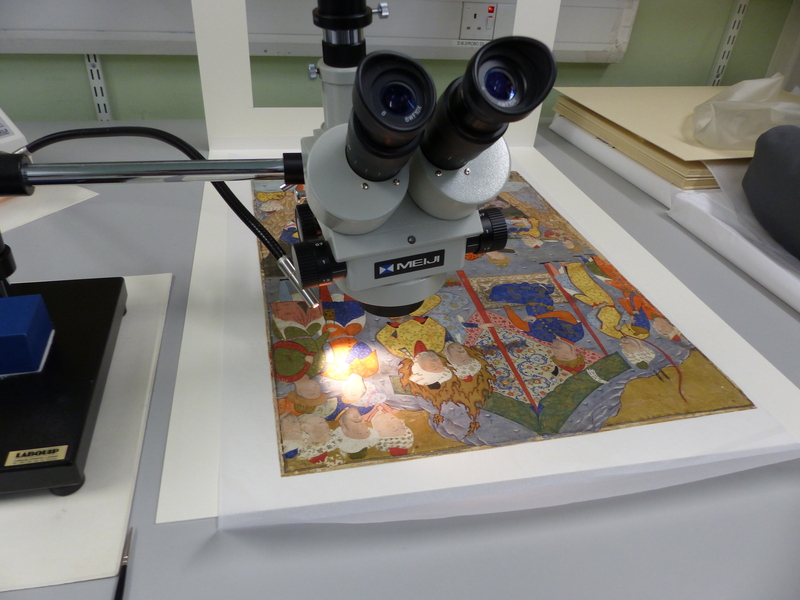 Brush consolidation of an Islamic manuscript illumination under magnification. © The Trustees of the Chester Beatty Library, Dublin. 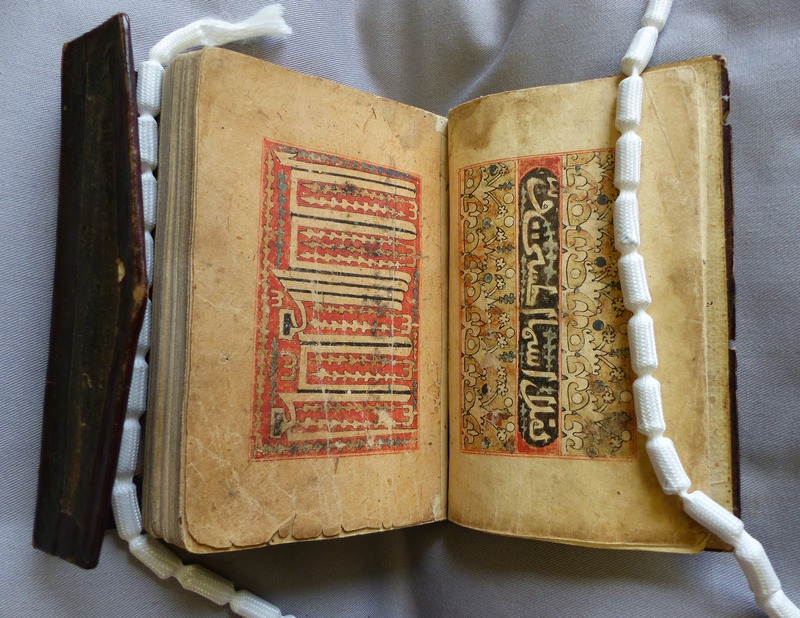 Turkish Book of prayers, possibly 16th century. © The Trustees of the Chester Beatty Library, Dublin. 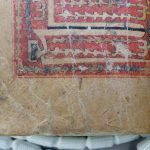 Tear repairs to the edge of a manuscript prior to travel. © The Trustees of the Chester Beatty Library, Dublin. 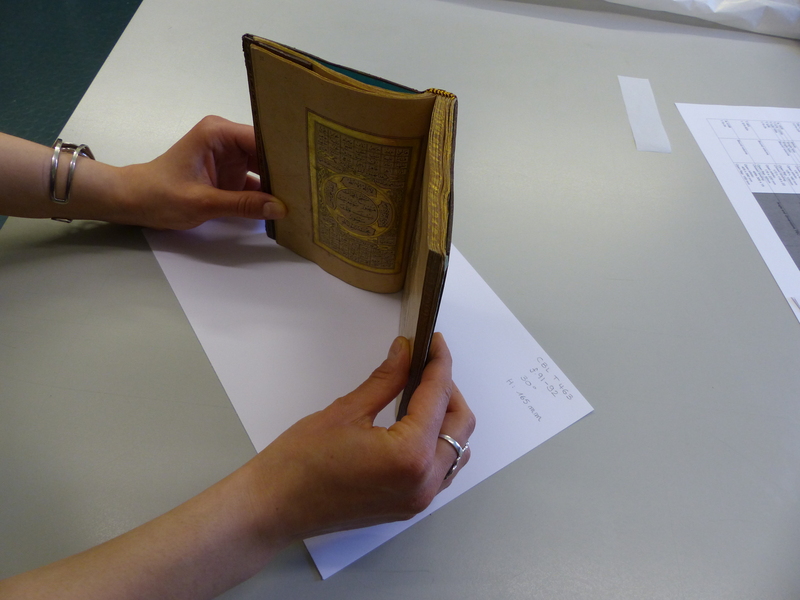 Measuring the profile of a manuscript opening for a display cradle. © The Trustees of the Chester Beatty Library, Dublin. 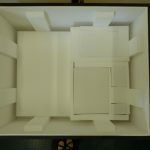 Opening the crate for packing objects. © The Trustees of the Chester Beatty Library, Dublin. 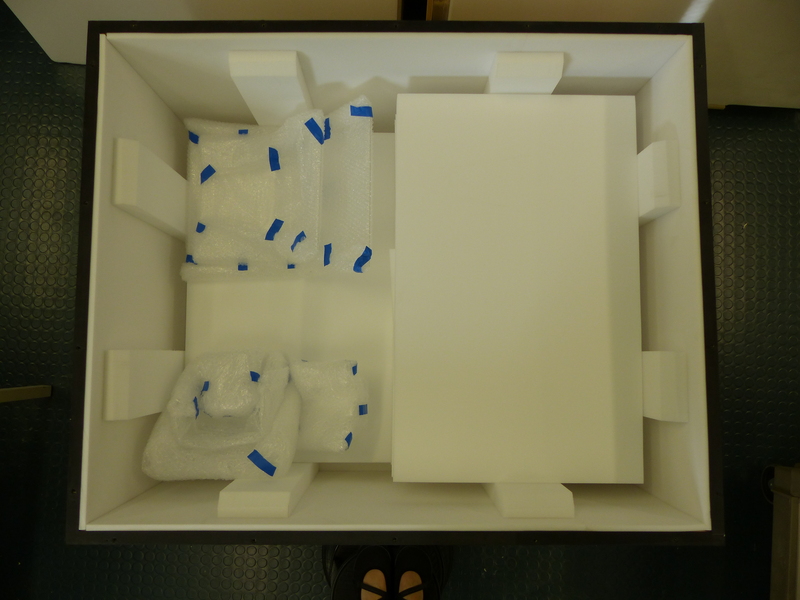 Packing the crate with objects. © The Trustees of the Chester Beatty Library, Dublin. 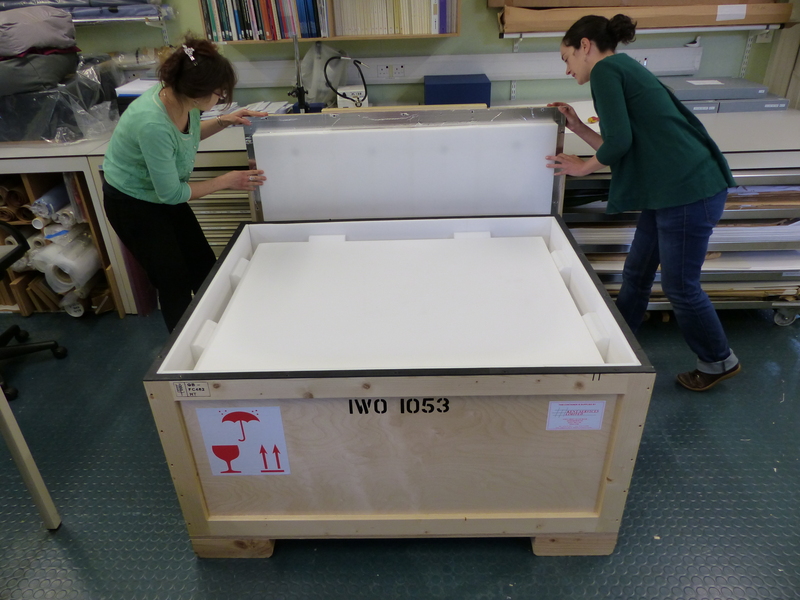 Packing the crate with objects and book cradles. © The Trustees of the Chester Beatty Library, Dublin.